I watched a very interesting documentary a little while ago that touched briefly upon food labeling and packaging and how it affects the consumer's choices. We all want to feel healthier by going for the "all natural" choice or "fat-free" but ultimately, do we know what regulations are in place to allow for accuracy? What do these phrases really mean? I got some insight from this source article here and wanted to share with you the info! 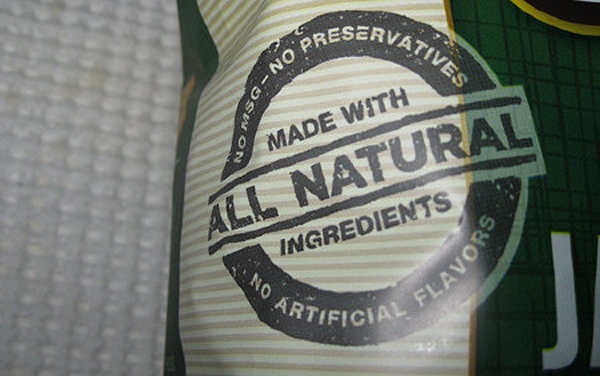 Natural - currently no FDA guideline behind this though is subject to more scrutiny if it contains any added color, artificial flavors, or "synthetic substances"
Natural (meat) - USDA requires additional labeling on what makes the meat "natural"
Hope that helps as you make your purchasing choices in the future!